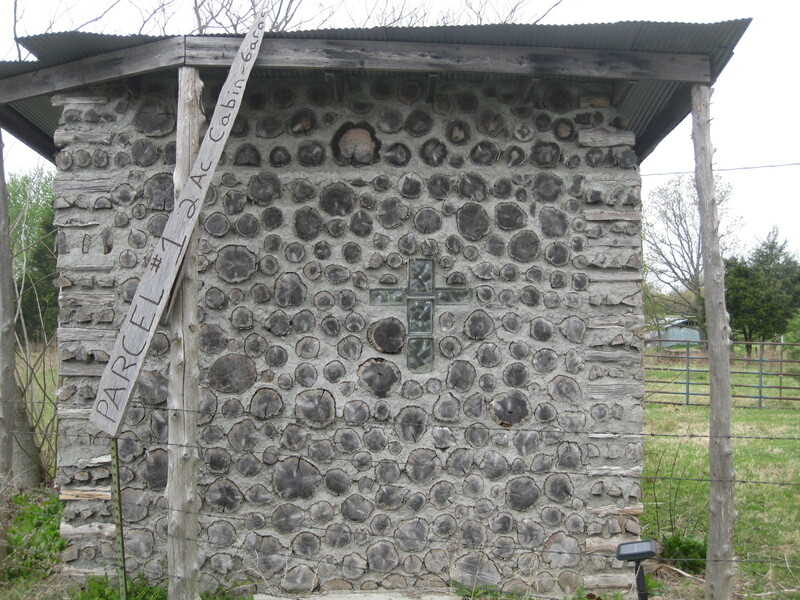 Laying up a masonry building using a combination of stones and mortar is common wherever there are stones. 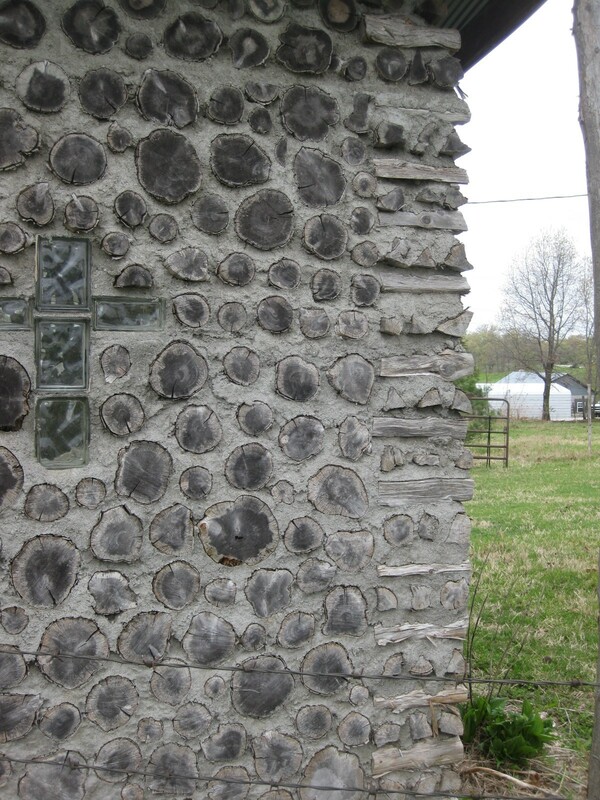 But in the Ozarks, where stones abound, using short lengths of firewood in place of the stones is unusual. This outbuilding near Highlandville, Missouri, caught my eye, because of its novelty. Stovewood construction was common in Wisconsin and Michigan a century ago. Here’s an article about a stovewood house in Wisconsin, with information about the history of the technique. 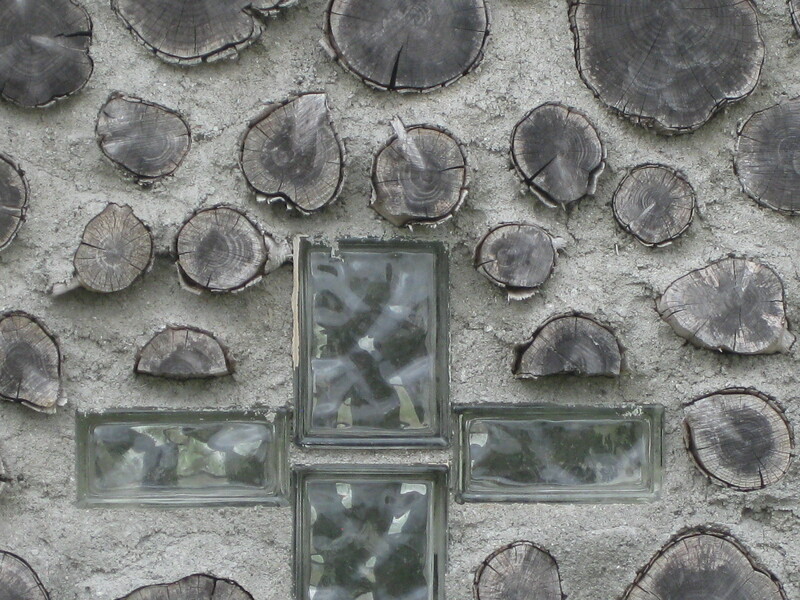 For light, bottles or glass blocks may be inserted. Flat stones layered with stovewood make for neat, strong corners.